It’s all over. Philadelphia Phillies are the 2008 Baseball World Champions. I was rooting for the Rays; I can’t resist the underdog. The Rays were the worst team in baseball for all but one of their previous ten seasons (this is only the eleventh season that they have been a franchise). Then this year they finished at number two, in the only season when they have won more games than they’ve lost. What a fairytale turnaround. But the Phillies hold a losing record of their own: they are the only team in professional sports to have lost over 10,000 games in their history. Manchester United and the Phillies were formed within five years of each and I did some primitive adding-up to compare the records, for some perspective: Manchester United have only played around 5,000 professional games in their history. Anyway, we’re not here to talk about rounders or football; we’re here for the beer! This was one of the beers which I managed to get from the supermarket (that and the Anchor Steam) and it’s probably the best example there is of American craft brewing and its growing popularity: this Pale Ale is now available in the major supermarkets and is growing in number in pubs. Pale ale was an aging style of beer, lost in the sea of big-name lager, but then Sierra Nevada started to brew it in the 1970s and the craft brewing scene was up and running. If it wasn’t for Sierra Nevada and Anchor then who knows what the American beer scene would be like now, and who knows how the British beer scene would be, for a lot of American influence is starting to make its way into the beers over here – ‘extremes’ of style, the renewal of old styles, attention-grabbing labels, barrel aging, etc. The boundaries of what beer is, and what it can be, are slowly being stretched in exciting ways. 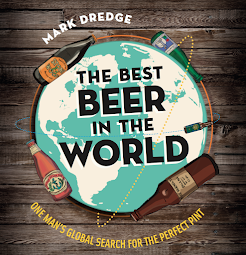 This won’t be for everyone, that’s for sure, and there’ll be ‘purists’ who’ll ardently stick to their pint of best bitter or premium lager, but there’s a whole world of beer out there and I personally think it’s a great time to be a beer drinker, wherever you are in the beer world. Sierra Nevada Pale Ale pours a golden-orange colour with custard-yellow head. It’s brewed with pale and caramel malt, and this is clear from the bread and cake aromas, with a hint of vanilla. I also got some caramelised oranges, plenty of juicy fruit, citrus zest and berries. The creamy caramel malt comes first, then the Cascade hops add an almost dry grapefruit finish, with some tannic berries in there somewhere. The well-hopped finish just keeps on and on above the sweetness of the malt and that’s the main flavour difference between this Pale Ale and a lager – the dominance of the hops and the depth of the malt. It’s a bloody good beer, crammed with richness and flavour, and the stand-out beer of its kind. So my week of American beer and baseball has come to an end. Next year I’ll plan it a bit better to get some more ‘unusual’ and uncommon beers in. For now it’s back to whatever is in the cupboard. Or the fridge. Or under the stairs.